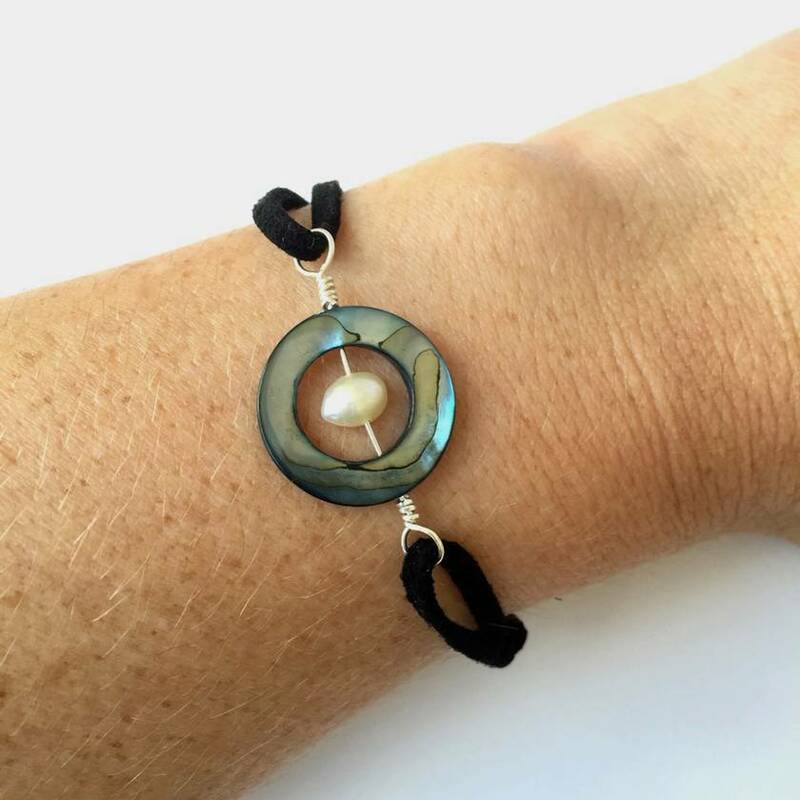 This gorgeous paua shell circle bracelet with an ivory freshwater pearl inside, sits comfortably on a soft black suede cord with Sterling Silver hook and bindings. Reminiscent of the beach and the colours of the Pacific, this beautiful bracelet gives a smart casual vibe to your weekend wear. 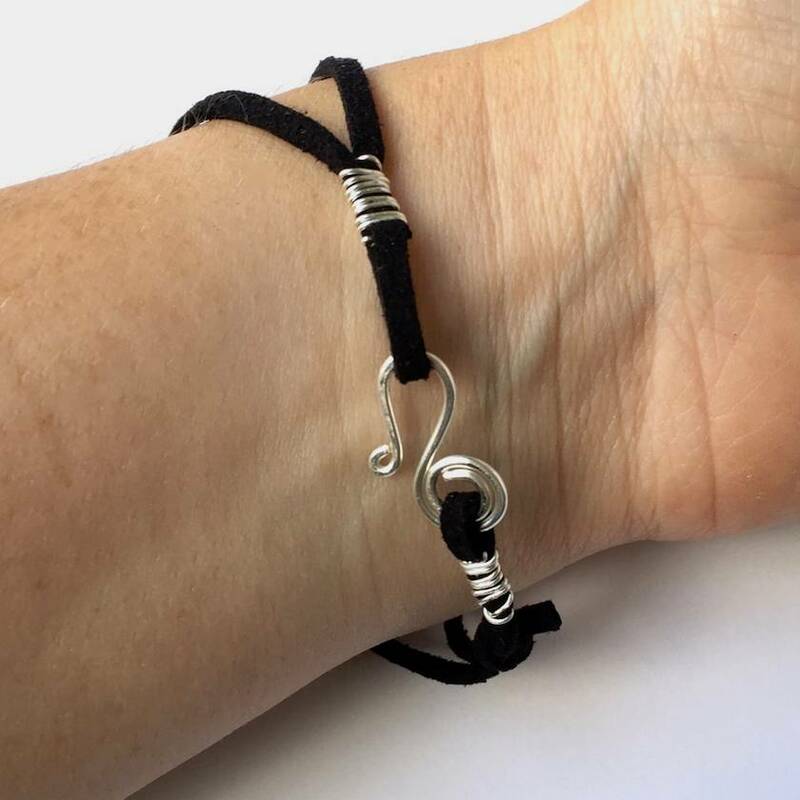 There is a slip-knot on one side, enabling the wearer to increase or decrease the size and fit of the bracelet, as required. 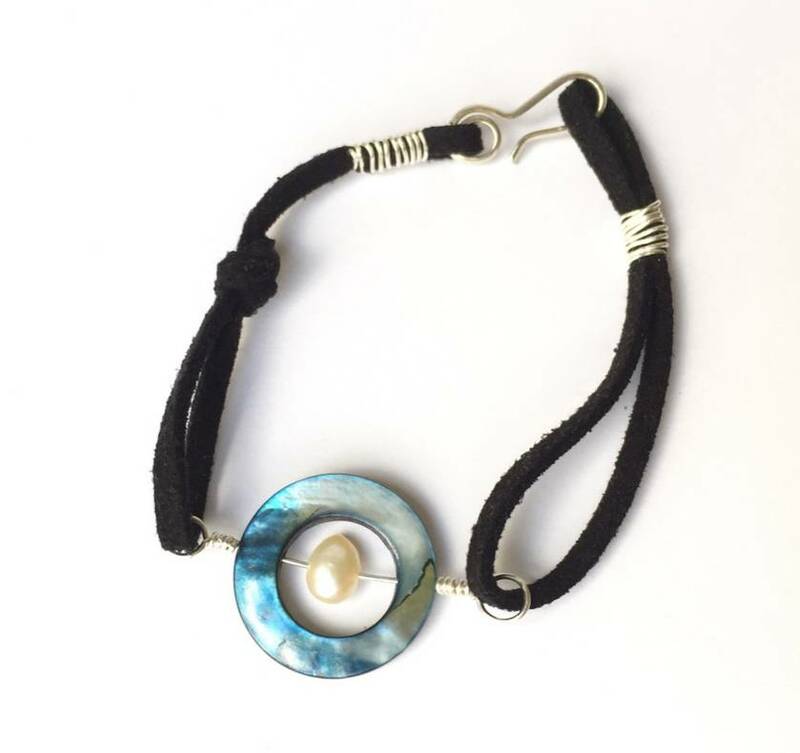 This bracelet is also available with a blue/black freshwater pearl sitting on the inside of the paua shell circle. Please see other listings for these options. 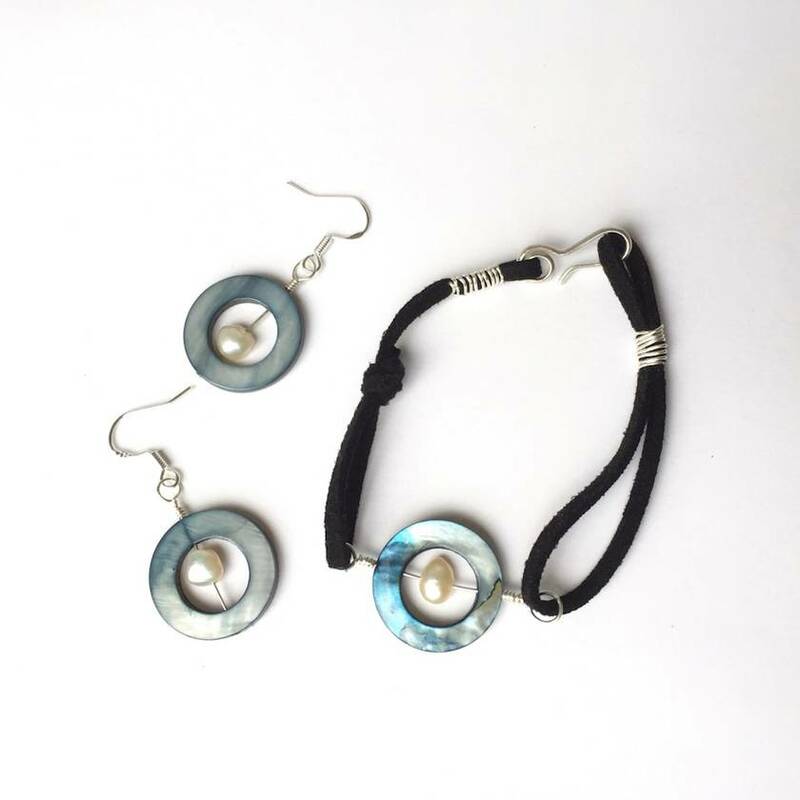 All items are made to order and also come simply gift wrapped. Please allow 1-3 business days for me to hand-craft this item for you.